Being a role model wasn’t really a choice for Aziza Amiri. It was a job she was born into. Amiri isn’t complaining. She loves serving as a role model – for both her family and her hometown of San Jose, CA. 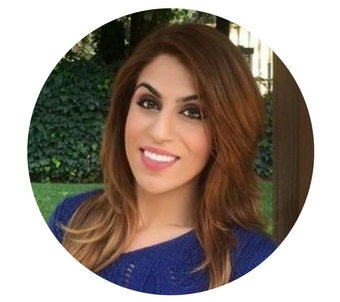 She works as an associate engineer for the City of San Jose, while leading a variety of student outreach programs as president of ASCE’s San Jose Younger Member Forum. ASCE has recognized Amiri’s contributions and accomplishments by naming her a 2018 New Face of Civil Engineering. Amiri is inspiring even when she’s not consciously a role model. In her free time, away from the stresses of managing sanitary sewer and roadway projects, she works as a makeup artist. It’s a fun, artistic outlet for her. It turned out that one of her clients was a teacher at nearby Rocketship Brilliant Minds Elementary School, specifically geared toward putting children from low-income families, students who are English-language learners, and students with special needs on an early college track. Amiri was the perfect fit to speak with the students about what she does for her career, how she helps engineer the infrastructure of San Jose that they use every day. But Amiri did more than simply speak to the students. She set them up with a screening of the ASCE-produced IMAX film Dream Big: Engineering Our World. She and the San Jose YMF had been doing a lot of outreach events around the film at the time. So Amiri rallied some of her ASCE friends, as well as some fellow city employees, for the Rocketship screening. They gave the students an overview of engineering before the screening, watched the film with them, and then answered their questions afterward. Back when Amiri was a student, she tried biology, business, and journalism, before discovering her love for civil engineering. She tried the statics and dynamics classes at San Jose State University, and not only did she love the subject matter, she found a community. Amiri has excelled in her work for San Jose, already managing her own project teams for the Public Works Department early in her career. It’s been very satisfying for Amiri, who was initially drawn to civil engineering by the notion of creating tangible, large-scale projects. 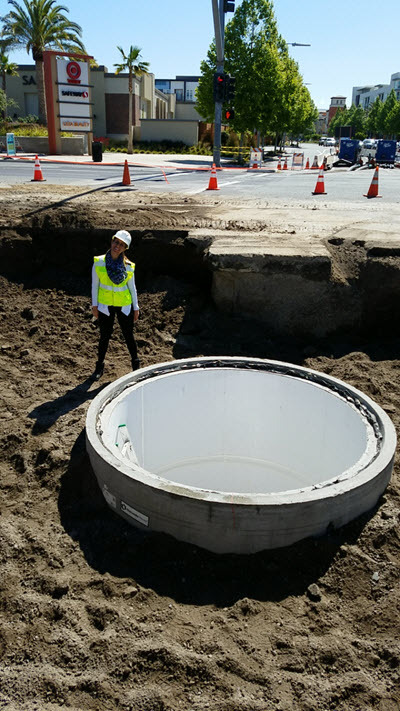 She managed the construction of the Monterey-Riverside Relief Sanitary Sewer project, which provides excellent drivetime conversation. And in case reshaping the city she grew up in wasn’t reward enough, Amiri has a poster. It’s a gift from the Rocketship students to remind her of her value as a role model. “All the students signed it, saying thank you for sponsoring us and volunteering and being there to talk to us,” Amiri said. “It just kind of brought a joy to me, that I actually maybe made an impact. 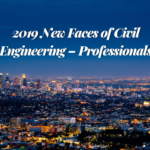 ASCE will honor all 10 New Faces of Civil Engineering – Professional at the 2018 OPAL Gala, March 15, in Arlington, VA. Read more about the rest of the New Faces class. What an amazing woman. This was very inspirational!! !